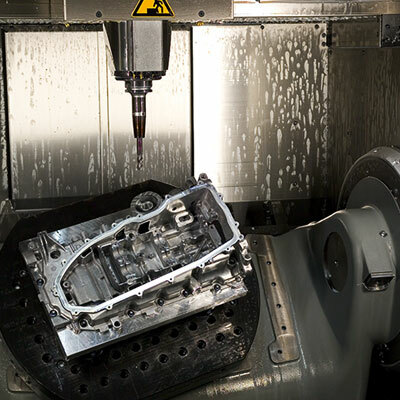 High-speed CNC machining for prototype and production dies and molds. 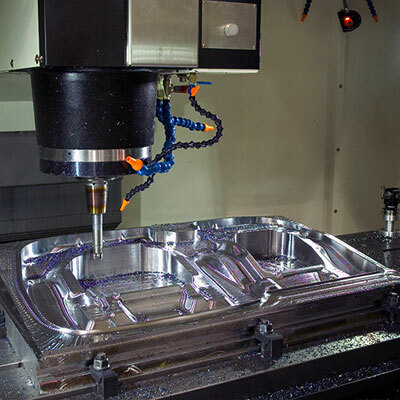 With over a hundred CNC machining centers, mills, and lathes, we offer fast and precise CNC machining of components and tooling from nearly any material available. We are able to support projects of any scope with CNC machining envelopes up to 11’ x 17’ in size. 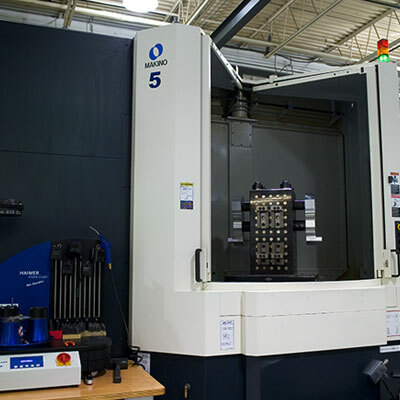 Featuring vertical, horizontal, and five-axis machines, as well as gun drill and boring mill technology, our operations can meet the strictest tolerances with a sense of urgency. We used a CNC vertical milling center to insert 24 helicoils into this injection molded transfer case.